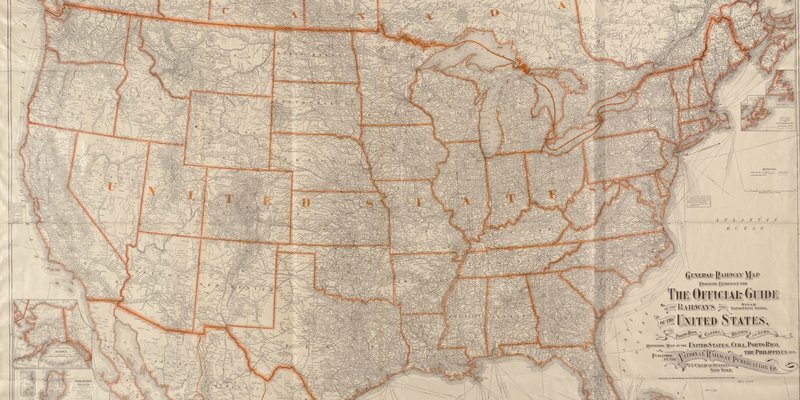 In the United States the responsibility for redistricting (the redrawing of election districts) is given to the state legislatures under Article I, Section 4 of the Constitution. After each decennial census the state legislatures convene, usually during their regular session but occasionally in special sessions, to redraw state legislative districts and Congressional districts. 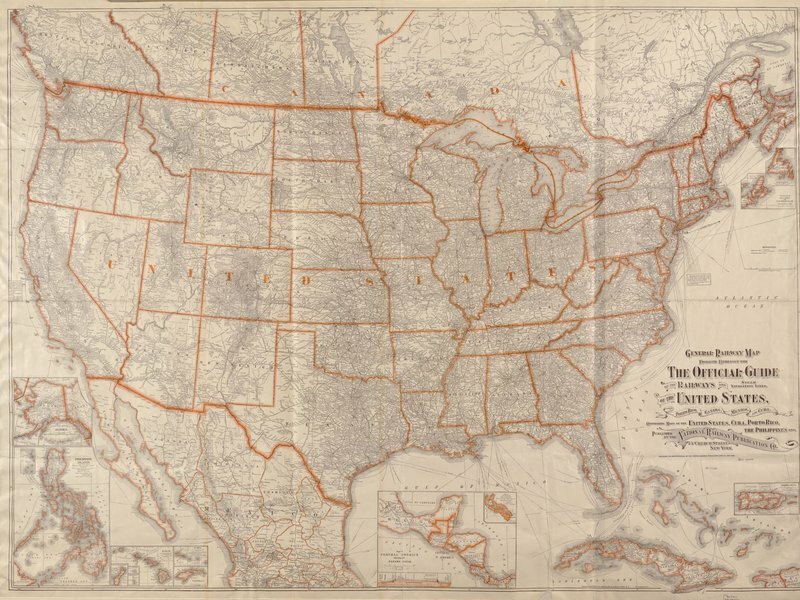 A few states give the authority to draw maps to commissions, but that is a relatively recent phenomenon. Full Control: If redistricting occurred it would happen where the Governor (in most states) and majorities of both chambers of the legislature are held by the same political party. This can also occur when one party has a veto-proof majority in both chambers of the legislature while another party holds the governorship. Split Control: Redistricting is not under the full control of a united government. 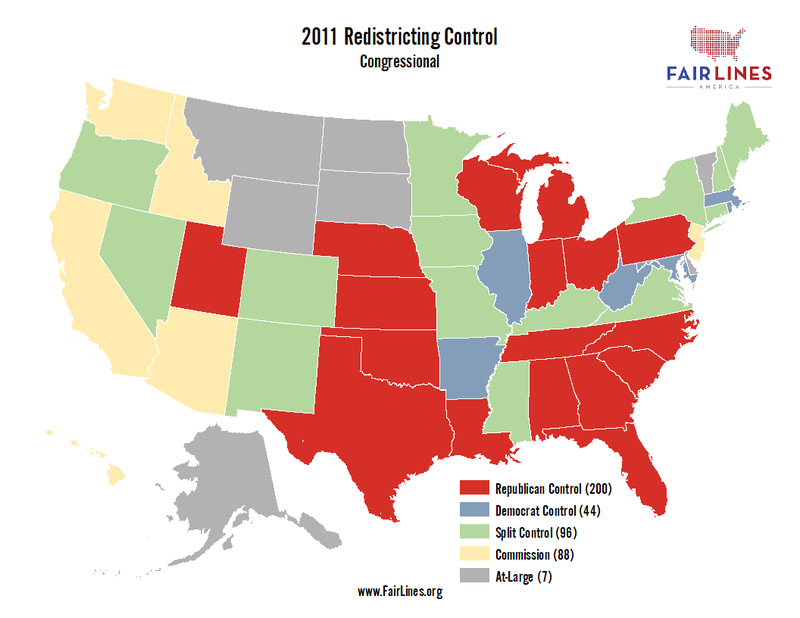 In these states one major party has control over at least one part of the redistricting process but not all of it. Commission Control: Redistricting is performed by a commission rather than through the Constitutionally mandated legislative process. At-Large: Redistricting is unnecessary since a state only has one seat in Congress that is elected statewide. 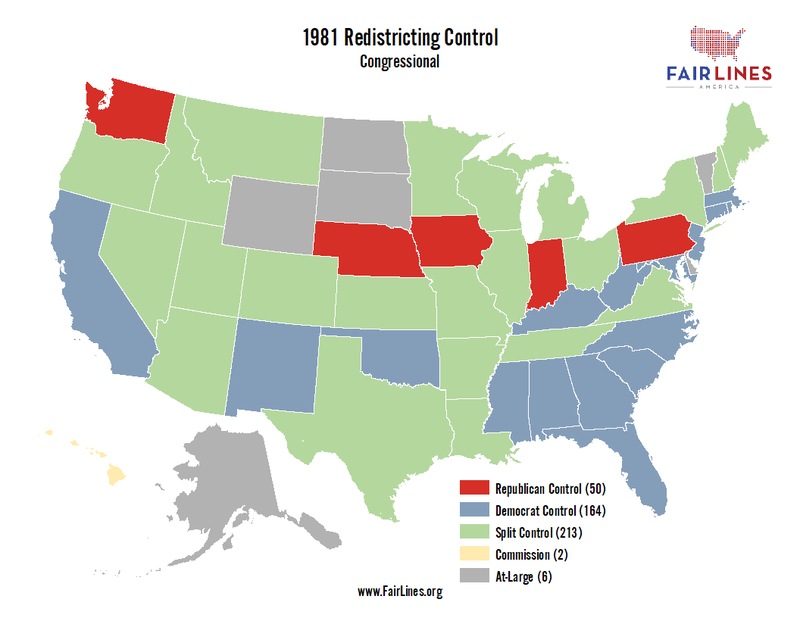 Following the 1980 elections Democrats had full control over redistricting in 16 states (164 seats), Republicans had full control in five states (50 seats), 32 states were split (213 seats), one (Hawaii – 2 seats) had a commission, and six states had only one at-large district. Democrats held the House of Representatives throughout the decade. 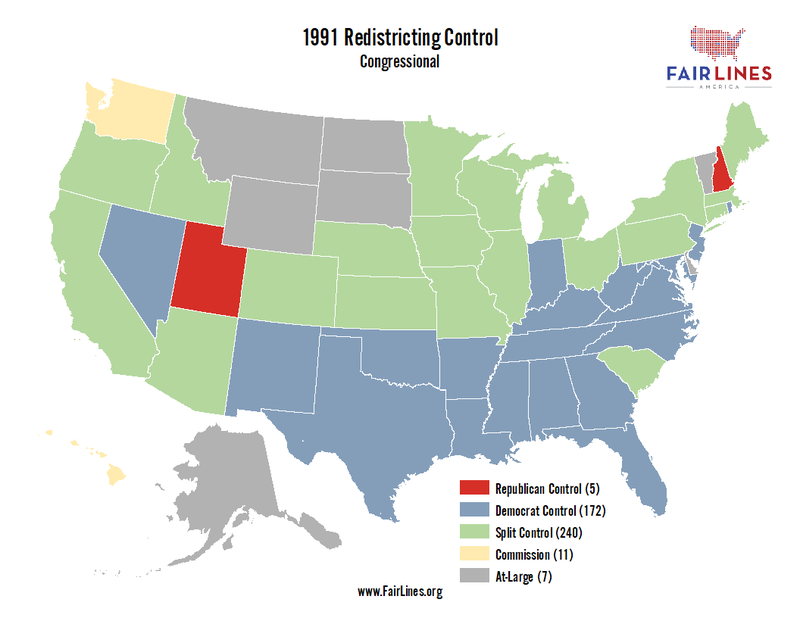 In 1991 Washington became the second state to use a commission for congressional redistricting. Montana lost a 2nd seat due to reapportionment after the 1990 Census and became the 7th at-large state. Republicans only had full control in Utah and New Hampshire (5 seats) while Democrats were able to control the process in 21 states (172 seats). 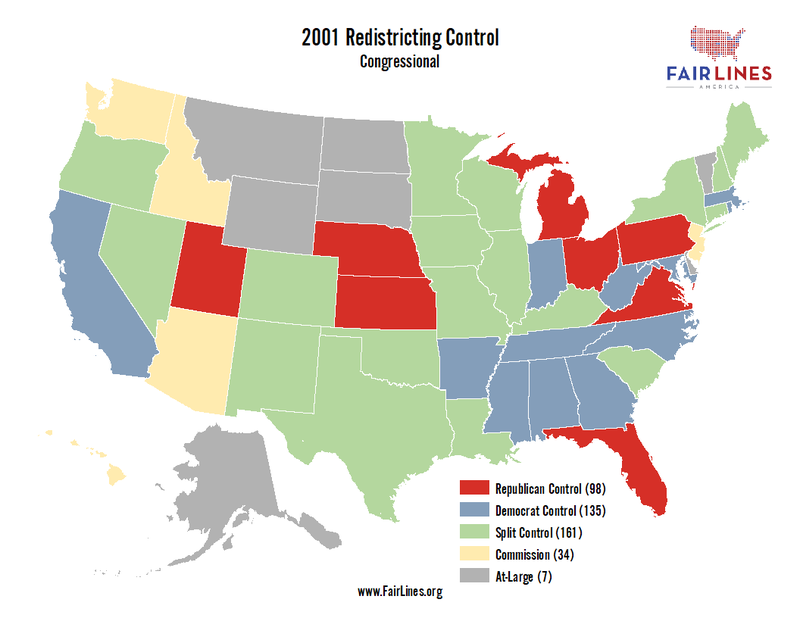 More than half the districts in the country (240) were in the 28 states with split redistricting control. Democrats held the house of Representatives in 1992 but lost the House in 1994 and never regained it in the 1990s. By 2001 three more states (Arizona, Idaho, and New Jersey) added commissions for congressional redistricting but those five states still represented only 34 seats. Republicans secured trifectas (Governorship, Upper Chamber majority, and Lower Chamber majority) in eight states that needed to redistrict (98 seats) and Democrats held trifectas in 12 multi-seat states (135 total seats). Only 18 multi-seat states had split control, but that was still enough for a plurality of 161 seats. 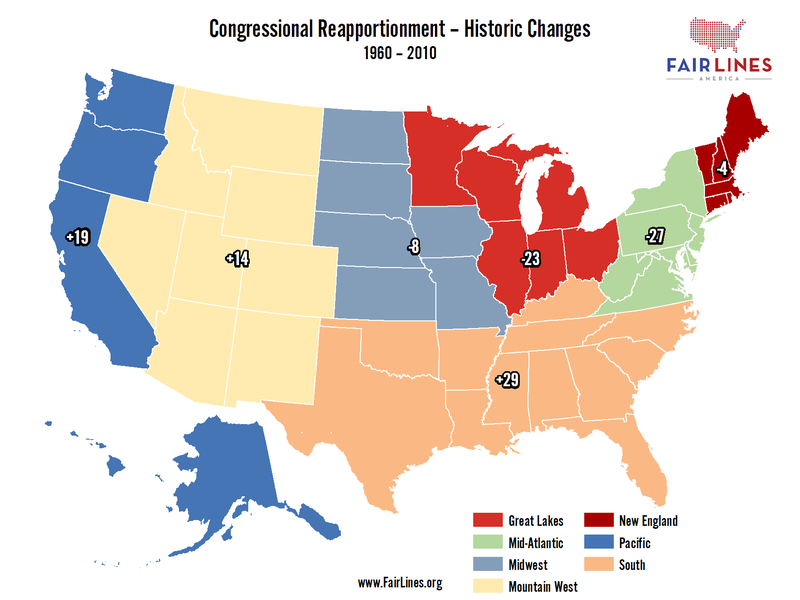 Reapportionment following the 2000 Census left the same seven at-large states in place. Republicans held the House in 2002 and 2004, Democrats took control and expanded their majorities in 2006 and 2008, and Republicans regained control in 2010. In 2011, for the first time in 30 years, the script flipped. Coming off huge wins in 2010, Republicans held trifectas in 17 states (with 200 seats) that needed to redistrict. 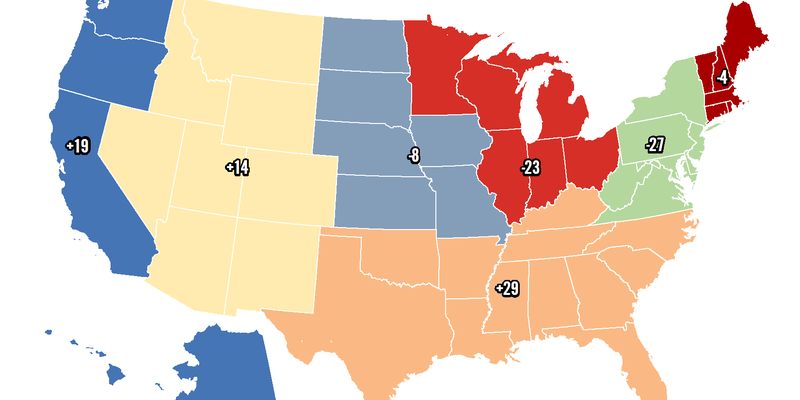 Democrats only controlled 5 states (44 seats) marking a modern low for the party. Only 12 states (96 seats) were under split control. The seven at-large states remained in place for a third decade in a row. California adopted a commission in the mid-2000s raising the total number of states with commissions to six, more than doubling the total number of seats under commission control from 34 to 88.